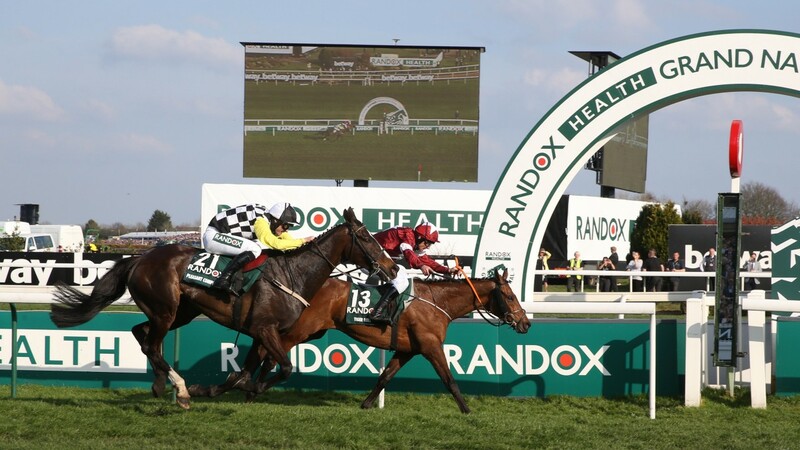 The Grand National takes place this Saturday at Aintree the showpiece event of the National Hunt calendar. The race is seen as the biggest endurance test within the racing sphere being contested over a sizeable distance of just over four miles and two furlongs. As a betting proposition you really are best of just picking a horse that has some relevance to you, or you just like the colour of the silks. As this contest really is just a lottery. The race was won last year by the Gordon Elliott trained Tiger Roll and he currently heads the market this time around at a noticeably short 7/2. This is due to his exploits in the Cross Country chase last time out at the Cheltenham Festival where he dismantled the field. It’s not just the strong favourite who represents Gordon here he has a very strong team as well with several chances heading over. These come in the form of Jury Duty (20/1), last year’s Irish National Winner General Principle (33/1), Dounikos (33/1), Noble Endeavour (50/1), Out Sam (50/1), Monbeg Notorious (66/1) and Bless The Wings (66/1) who all currently look set to take their place. Willie Mullins was responsible for last year’s runner up in the race and he has a whole host of chances again within this year’s renewal with last year’s second Pleasant Company (20/1) looking to take his chance again. The Closutton raiders also include Leinster National winner Pairofbrowneyes (25/1), Up For Review (33/1), Livelovelaugh (50/1) and the current second favourite Rathvinden (11/1). He’s a horse with a lot of ability having won the four mile National Hunt chase at the Cheltenham Festival in 2018 and also won on reappearance when last season. He’ll certainly be a popular each way player with punters. The famous Trevor Hemmings silks which have seen great success in the race in previous years are sported by Lake View Lad (14/1) and Vintage Clouds (16/1). These both sit prominently in the betting and will also be popular each way selections with punters. Gold Cup second Anibale Fly (11/1) will look to take his place in the line up for Tony Martin. He delivered his trademark late bit and ran on strongly to pick off a few of the tired legs. An eye catching effort which has propelled him to the top of the betting here. Going back to the best of the home challenge there’s several who finds themselves closely matched on this season’s form. Rock The Kasbah (20/1) won the BetVictor at Cheltenham in November and will be the mount of champion jockey Richard Johnson. Walk In The Mill (25/1) won the Becher here in the winter and has since been kept busy in novice hurdles and also 2017 winner One For Arthur (33/1) looks to take his place however looks up against it on current form. If turning up in the same form of his Cross Country win Tiger Roll will win this. And to be honest I genuinely think that he will do just that and win back to back Nationals. However can you back him at 4/1 for a Grand National? Absolutely not for me. Far too short. So I’ve had a go on four each way alternatives to make up the places and maybe even attempt to take the Gigginstown hotpot on with and compiled them in a list below.